As you walk out of Marmaris Harbour, your professional local guide will be waiting for you with a name placard, ready to take you to visit some of Selcuk's most famous sights. 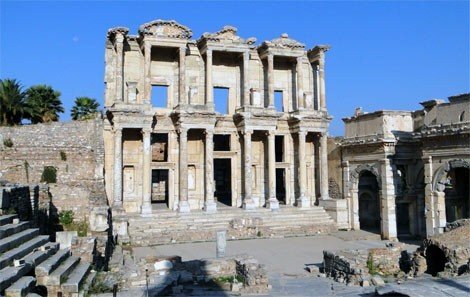 The Ancient City of Ephesus dates back to the 10th Century B.C and was once one of the largest Roman cities of its day. The ruins have been well preserved and as you walk through you get an insight into the lives of the ancient people who once lived here. Wander through the theater that used to hold up to 25,000 people, as well as the Celsius Library, perhaps Ephesus' most photographed building. It was completed in 120 A.D. and once housed almost 12,000 scrolls. 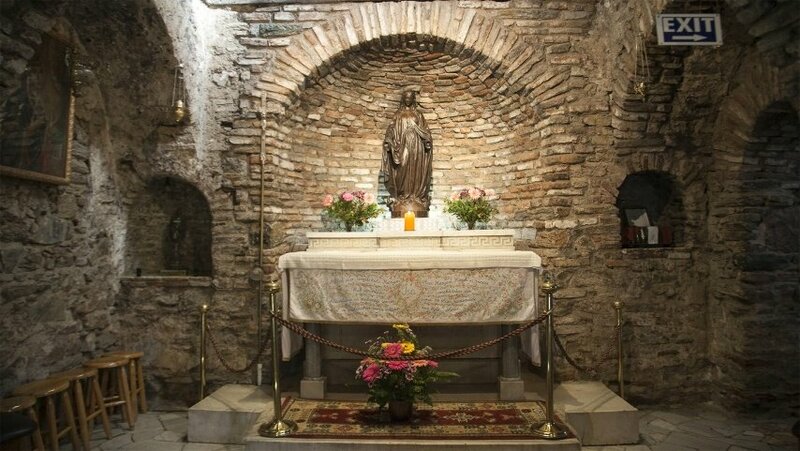 Located just a short drive from Ephesus is the House of the Virgin Mary where the mother of Christ is believed to have lived out her final days. It is now an important pilgrimage site for people of all walks of life, offering magnificent views across Selcuk and the surrounding area. 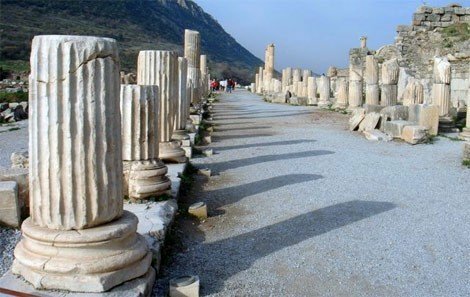 While a visit to the Terrace Houses section located within the Ancient City of Ephesus is not included in the tour price (extra entrance fee of 15 USD per person), it is highly recommended and takes a minimum of 30 minutes. Its oldest building, "The houses of the rich Romans", dates back to the 1st century BC and exhibits beautiful mosaics and frescoes, as well as its famed clay pipe water and heating system. This section contains over 100 stairs, so we do not recommend it for people with physical disabilities.